Our website (trackingshipment.net) is not affiliated with Saudi Post. 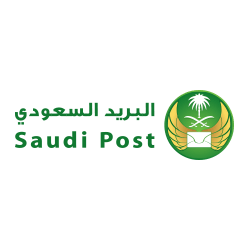 Please be advised that Saudi Post tracking service has just been added to our service, and we haven't enough time to collect a lot of information about popular questions. At the moment all results are being represented without our correction. You can ask any question about it; we will find an answer to it. We will make a FAQ in the short time. Saudi postal service is a government-controlled service, which works under the brand name Saudi Post. The company is presented in all villages and cities of the country. Its network consists of approximately 478 main offices and 180 affiliated branch offices. This postal service provider was founded in 1926. Since that time, the company had changed greatly, and now it can offer a wide range of various postal services. Surely, as all modern companies, Saudi Post has its official website. On the website, you can always look through the necessary information and check the status of your order online by dint of the Saudi post tracking system. • Postal boxes (special green boxes installed in the offices of the company, which allow receiving your mail not on your address, but at the company’s office). As all big postal service companies, Saudi Post offers its client international shipment services. One can easily make an order and send a mail or package to any country of the world. Of course, it is possible to receive it in one of the official post offices throughout the kingdom as well. Clients shouldn’t worry about the safety of the order and can track it at any moment through the use of Saudi post tracking system. The personnel of the company is very friendly and client-oriented. One can always get support, calling the official hotline of the company. The number you can find on the official web page. In case you like the service of Saudi Post and want to follow its official pages on various social networks, you can find the links on the company’s webpage.